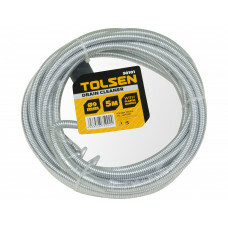 10FT Quality 3.5mm male to 3.5mm male cable. 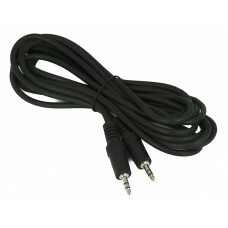 Use this cable to connect PC, TV, MP3 Players, iPo..
HDMI (High Definition Multimedia Interface) is a remarkable new high-bandwidth digital connection th..
Certified to perform at standards set by HDMI(tm) Enjoy a flawless connection between your digital a..
Connects any cable box, satellite box, DVD player, Blu-ray, 3D or 4K Game System or other device tha..
5 meters or 16 feet long, flexible 0.9mm spring snake wire with plastic hand grip. Suitable for clea.. 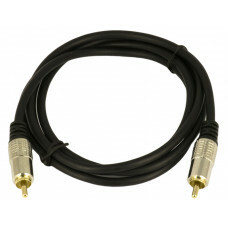 Premium Grade Gold Plated RCA Composite M to M Cable 1.5m or 5ft. Premium Grade Gold Plated RCA Com..